Pls identify mughal coin ? 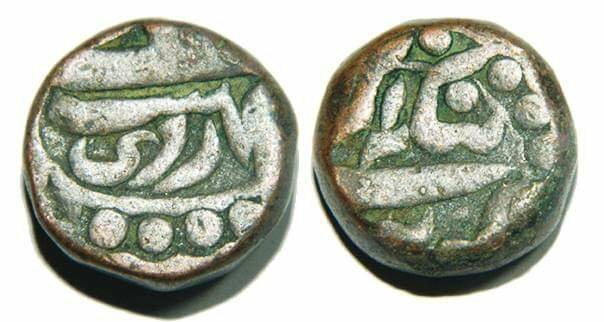 Re: Pls identify mughal coin ? Interesting coin. I like the pearl border. However, comparing with this coin, that border is the missing element. The rest looks much like your coin. Yes. Indeed a Dam of Gobindpur. It's just the light, Greg. A dam is a copper coin. Yours is likely to be copper. Do post, please.